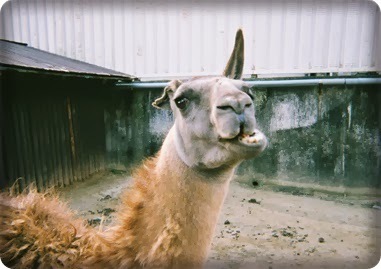 TODAY IS A GIFT: What the Hell! Today I'm gonna tell you about a great study tool for language. And about a unique hot spring resort in Japan, which is famous for the "hells". or just wanna find language exchange partner, check out this website. I started it 2 years ago, to practice writing Persian. Now I'm focusing on studying Chinese, so I rarely write Persian or English articles. 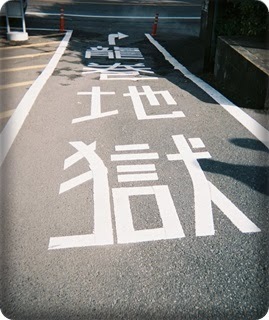 a lot of Japanese native speakers are willing to help you. : ) So am I!! Just try it, it's free!! Beppu city in Japan is the best hot spring resort I've ever been. Beppu city is known for having more hot springs than anywhere in Japan. You can see steams of hot springs every time and everywhere. Beppu's top sight is the eight hells (地獄/jigoku/). Traveling around these eight hells is called 地獄めぐり/jigoku-meguri/ which means "the hell tour". 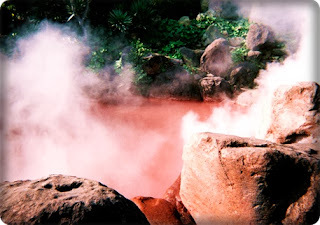 (1)Umi-jigoku (The sea hell) There are big cobalt-blue pond of boiling water. 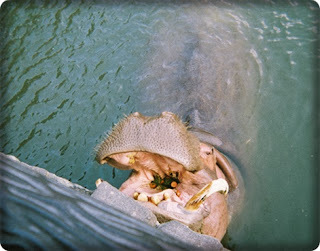 This hippo is bathing with his mouth opened. He's waiting for tourists to throw his snack into his mouth. This hell must be the heaven for him!! (4)Kamado-jigoku (The cooking pot hell) There're several boiling ponds, and visitors can drink the hot spring water, enjoy hand and foot baths. (6)Shiraike-jigoku (The white pond hell) The white milky pond, surrounded by a traditional Japanese garden. There's a small aquarium. There're piranhas! (7)Chinoike-jigoku (The blood pond hell) This hell has a big red hot pond. You can buy "Chinoike Ointment", which is made from the red clay produced here. It's effective for skin disease. (8)Tatsumaki-jigoku (The spout hell) This hell is famous for a boiling hot geyser, which erupts every 30-40 minutes for about 6-10 minutes. 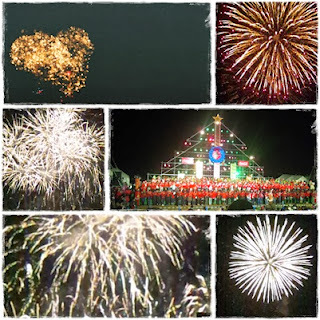 Last year on Christmas night, there were fireworks festival at the seaside park. It's usual to see fireworks in the summer in Japan. But I thought fireworks in the winter also very beautiful. 1000 children were singing Christmas songs. It was adorable.